Although Australia is a constitutional monarchy, the move to a republic is gathering momentum. Such momentum requires conceptual clarity. 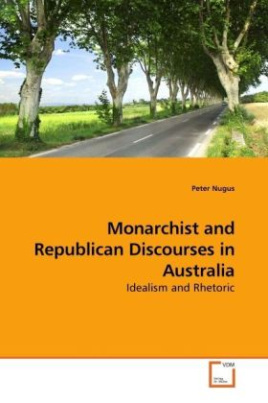 Peter Nugus maps the ideological and discursive contours of the contemporary Australian debate to their ancient lineage of Aristotle, Cicero, Plato, Polybius, Harrington, Montesquieu, Machiavelli and the founders of the American republic. The book provides fine-grained analysis of the texts and speeches of political parties and organized movements leading up to the referendum in 1999 in which Australians voted to retain the constitutional monarchy. The analysis reveals strange ideological bed fellows in conservative opponents and radical proponents, respectively, who define a republic as promising for better or for worse a change in Australian government, beyond the minimal, symbolic changes some proponents of the republic foresee. The forms of rhetorical engagement follow universal patterns according to the status of a public organisation as a party or movement. This scholarly and accessible book will appeal to students, academics, policy- makers and those interested in peeling back the layers of public rhetoric.